How is it that when you were a little kid, you could freely binge on Halloween candy without regrets? But, as an adult person, eat one too many peanut butter cups, and you feel like you’re going to keel over? While your sugar tolerance may diminish with age, and buying candy from the store isn’t nearly as gratifying as acquiring it, piece by piece, from your neighbors, there are still plenty of grown-up treats to be had on Halloween. So, this year, instead of getting jacked up on sugar, crack open a cider instead! (That said, pilfering a handful of candy from your kid’s treat-or-treat bag is 100% fine, in our book.) It’s the perfect way to celebrate the autumn season and, arguably, the best holiday of the year. Halloween is all about spookiness, and what could be more fitting than a cider with “blood” in its name? This cider, a blend of real Italian blood oranges and bittersweet heirloom apples, pours a pretty red in the glass and its bright orange can-design fits right into the color scheme of the holiday. At 5.1% ABV, offering a balanced semi-sweet and zesty flavor, Austin Eastciders Blood Orange is a quaffable choice that still holds onto a little hint of summer sunshine. Our pals at Austin Eastciders hooked us up with this easy Halloween punch recipe: In a large bowl, combine 4 parts Blood Orange ciders with 1 part dark rum, and add fresh slices of lemon and blood orange and cinnamon sticks (dry ice was used in the photo for the smoke effect). Serve in glasses over ice. 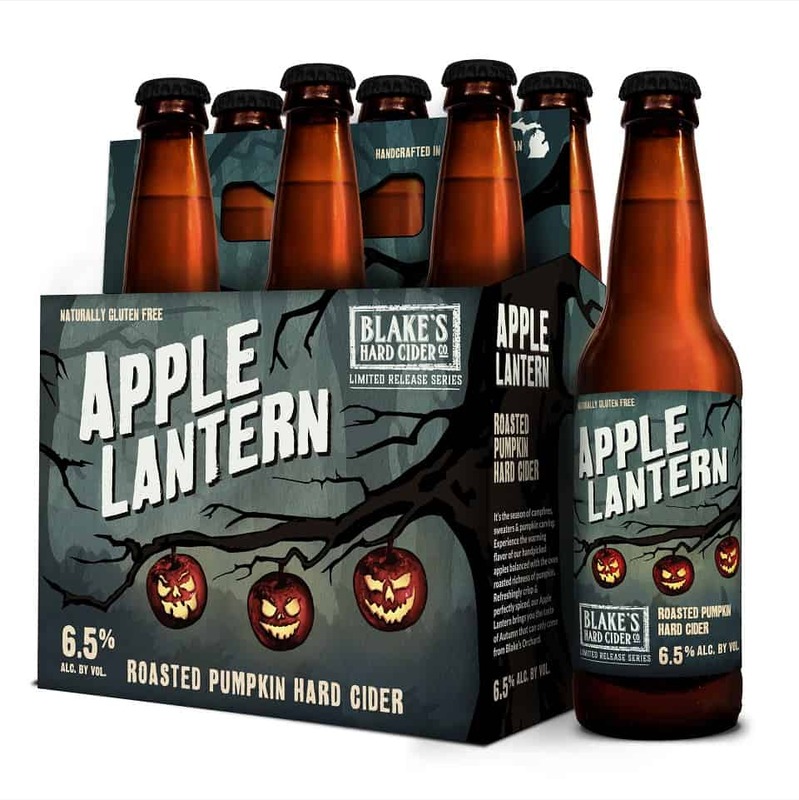 Blake’s seasonal release, Apple Lantern, is fully Halloween-ready, with its cute jack-o’-lantern artwork and autumnal flavor profile. 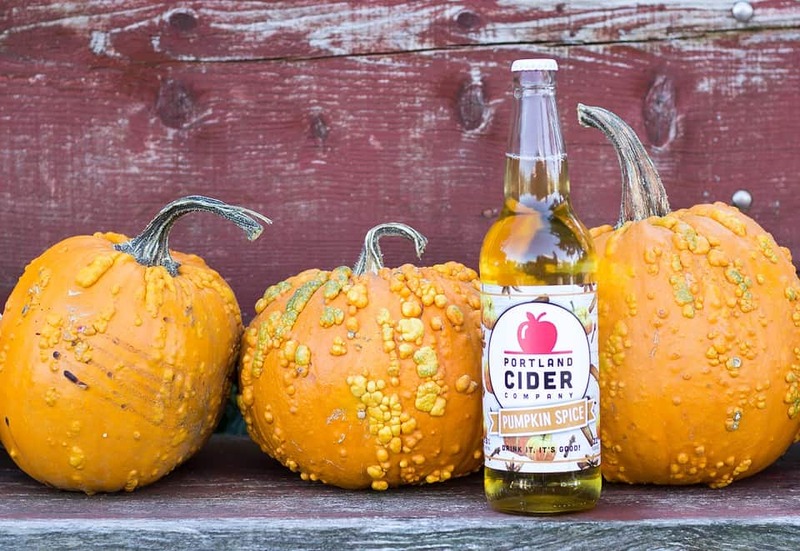 Handpicked apples and rich, oven-roasted pumpkin come together in a cider that’s crisp and refreshing, with just the right amount of spice. It also makes a mean cider cocktail, which Blake’s calls “The Drunken Pumpkin.” Simply shake together 0.75 ounces of St. Elizabeth Allspice Dram, 2 ounces of Templeton Rye and 0.5 ounce of fresh lemon juice, then strain into a Collins glass over ice. Top with Blake’s Apple Lantern, and garnish with an apple core. Halloween, at its essence, is a very punk rock holiday. Right? You’ve got all the black and eerie decorations, the anarchy of trick-or-treating, The Misfits playing at parties and so on. So, why not crack open a cider from the industry’s punkest company, Cider Riot!? Its fall seasonal, Rudy’s is out now, and check this out: You can get it in 500ml and 2-liter bottles! There will be plenty of this tasty, dry cranberry hibiscus cider made with Northwestern apples for you and your whole crew. 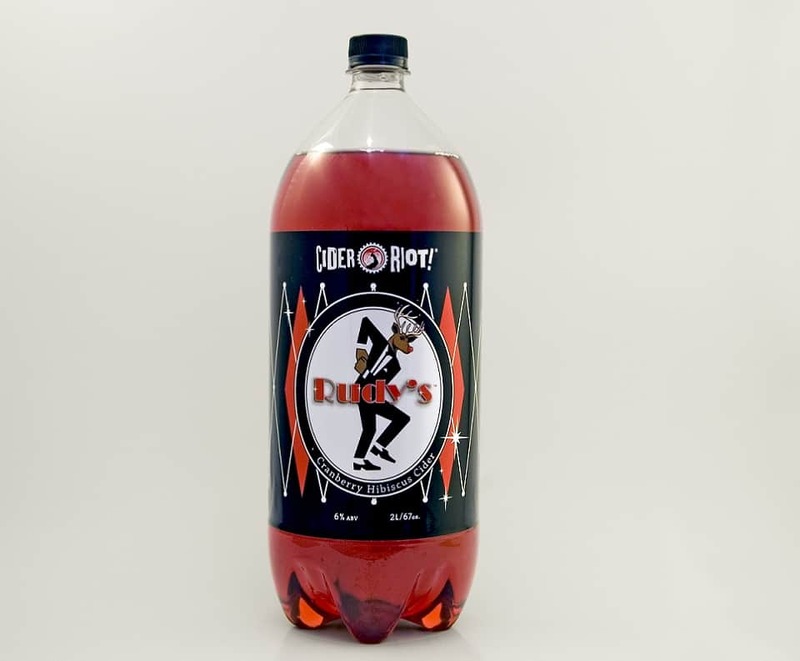 Rudy’s, a ska-inspired cider, is, according to Cider Riot!, a “two-tone assault of fruit and floral flavor and aroma” made from local apples blended with Starvation Alley cold-pressed organic cranberry juice from Long Beach, Washington, and aged on organic hibiscus flowers. If a dry, sessionable cider is what you reach for, no matter the time of year, grab a four-pack of Citizen Cider’s very fine “cider maker’s cider,” Wit’s Up, for your All Hallow’s Eve festivities. Made with apples pressed at Happy Valley Orchard in Middlebury, Vermont, this crowd-pleasing sipper starts like an ale and finishes balanced and dry. 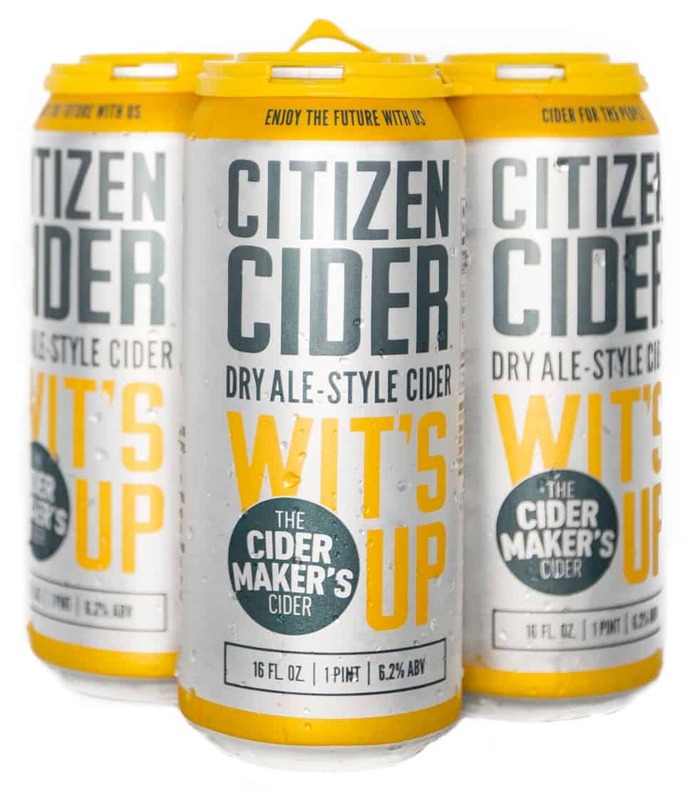 Its beer-ish qualities are due to the fact that Citizen uses a Belgian-style saison yeast in the cider-making process, and the cider undergoes a malolactic fermentation that helps tame the acidity and lends a gentle mouthfeel. Because you and the kiddos can’t subsist solely on candy on Halloween night, we suggest ordering a piping hot ‘za or two from your favorite local pizza joint, and enjoying some icy cold cans of Golden State Ciders Mighty Hopped with it (for the adult only, obviously). Made with — and this is a direct quote from Golden State — “the dankest hops California has to offer,” this bright, pleasantly bitter cider is a perfect pair with salty, savory foods, and it will make your beer-nerd friends happy, too. When fall comes around, with its long evening shadows and blustery breezes, some of us really like to lean into the mood: hiking boots, flannel shirts, decorative gourds — the whole nine yards. If this is you, Left Foot Charley Cinnamon Girl is what you should be drinking on Halloween. What is more autumnal, after all, than the classic combo of apples and cinnamon? 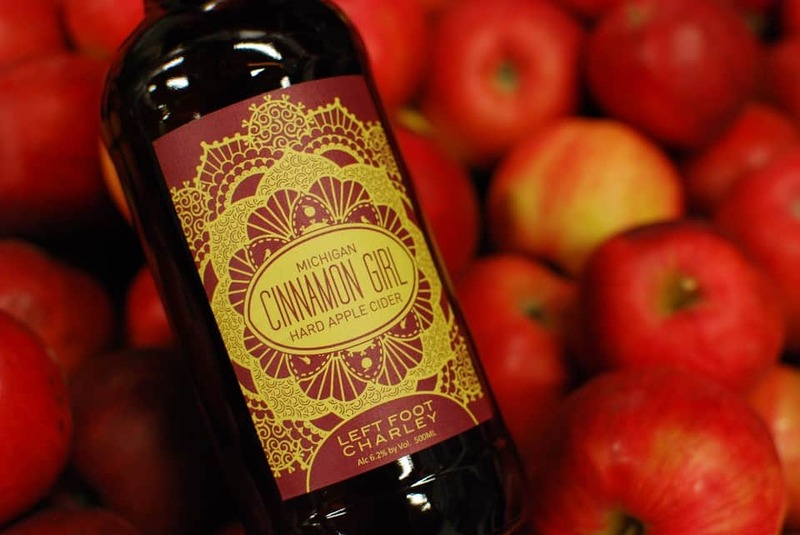 Left Foot, based in Michigan, sources the apples for this cider from two farms on the Old Mission Peninsula, then adds cinnamon sticks to the liquid and lets it steep for 4 to 6 weeks. 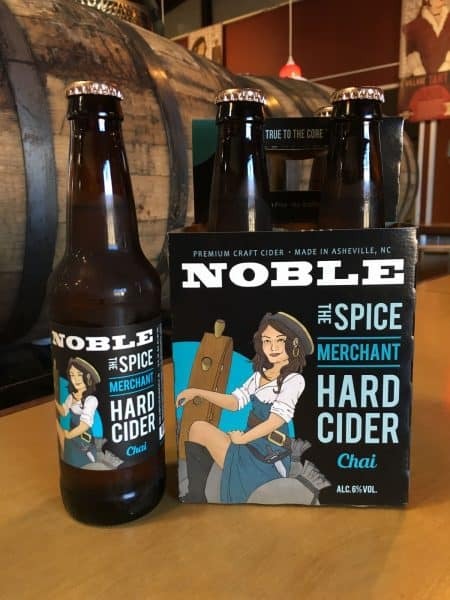 Tea-infused cider is a category of modern ciders that’s grown in the last year or two, and one of the finest examples we’ve found is Noble Cider’s chai-spiced cider, The Spice Merchant. This cozy flavor profile is perfect for a chilly October evening. Noble, Asheville, North Carolina’s first craft cider brand, starts with fresh-pressed local apples, then adds heaps of spices, like cinnamon, cardamom, cloves and anise found in fresh AppalaChai! chai tea. Warming and comforting, this cider is semi-sweet with an astringent tea finish. Noble suggests Thai curries, spicy dishes and flavorful cheeses for pairings. Of course we couldn’t put together a list of Halloween ciders without at least one pumpkin spice cider! Though we know this annual flavor combo is highly divisive, if there is a time and place to sip a PSC, it’s on Halloween. 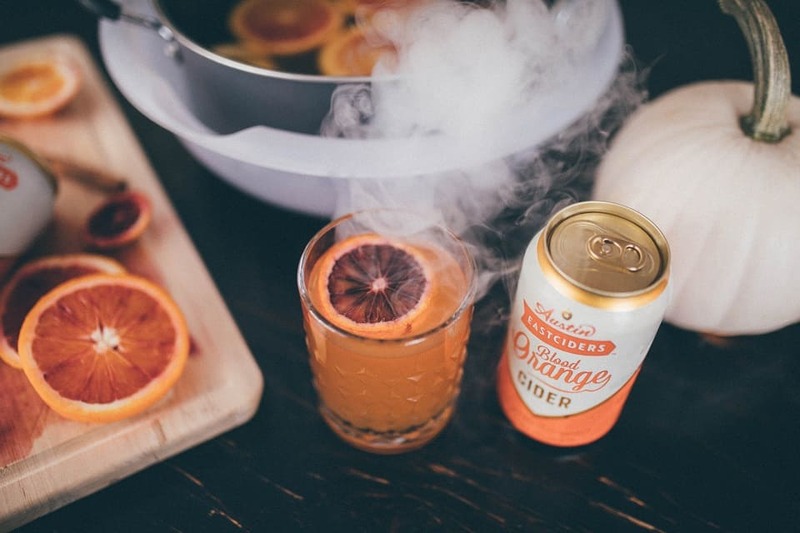 We suggest trying Portland Cider Co.’s Pumpkin Spice cider. Cinnamon, nutmeg, cloves, allspice and ginger are carefully blended with 100% Northwest apples (Gala, Honeycrisp, Golden delicious and Fuji, to be exact) to evoke memories of your favorite pumpkin pie. Light up the fire pit, and get in the autumn spirit! Halloween is a night to step outside yourself and enjoy a walk on the wild side. Maybe that means donning a crazy costume and going to a Goth dance party, or maybe it just means trying a cider a little outside of the norm. 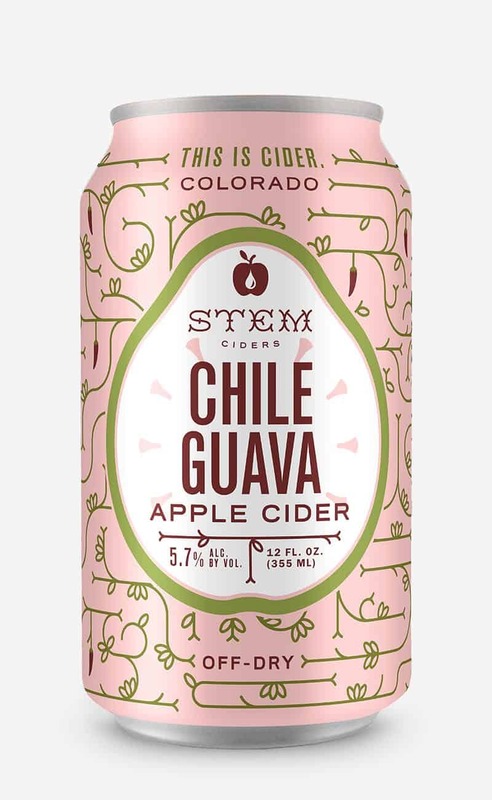 Colorado-based Stem Ciders, never one to shy away from bold and inventive flavor combos, just released its seasonal, Chile Guava. 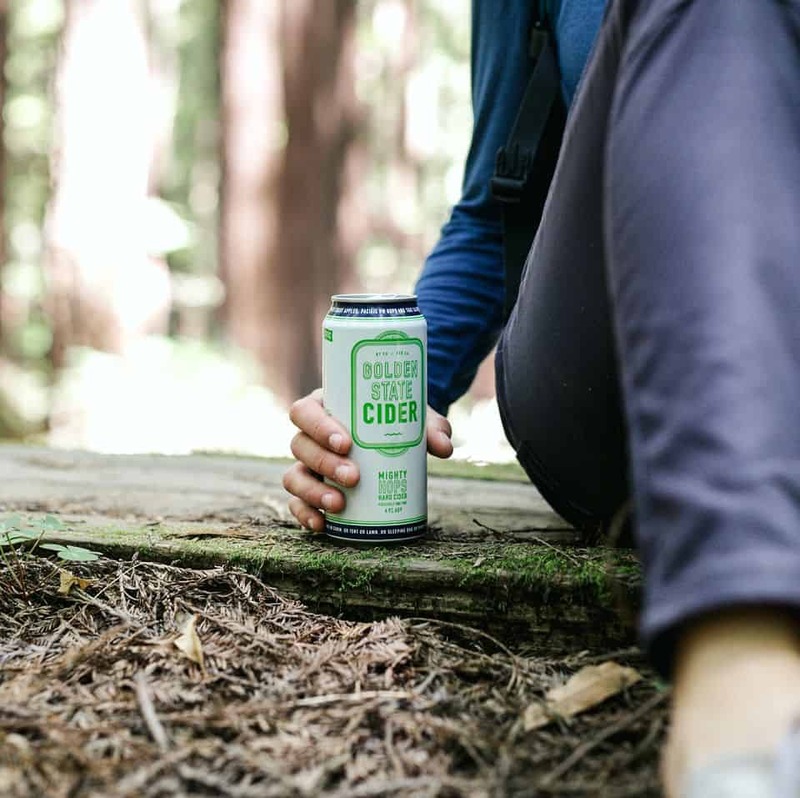 If you want to take a walk on the wild side, try a can of this off-dry cider, crafted with fresh pressed apple juice, guava and a guajillo chile infusion. This takes fall spice to a whole new level! Just like the fall season, cranberries evoke parts of the summer behind us, as well as the winter before us. Semi-dry, with a bold, fruit-forward flavor, Tieton Ciderworks’ Cranberry Cider is a refreshing, sweet-tart beverage to try on Halloween. Fresh-pressed cranberry juice and fermented apples are fast friends in this 6.9% ABV sipper, and we happen to think it would make a great pairing with fun-sized milk chocolate bars left over from the Halloween candy bowl. Which ciders are on your must-try list this Halloween? Let us know! Portland Pumpkin photo: Portland Cider Co.
Spice Merchant photo: Noble Cider Co.